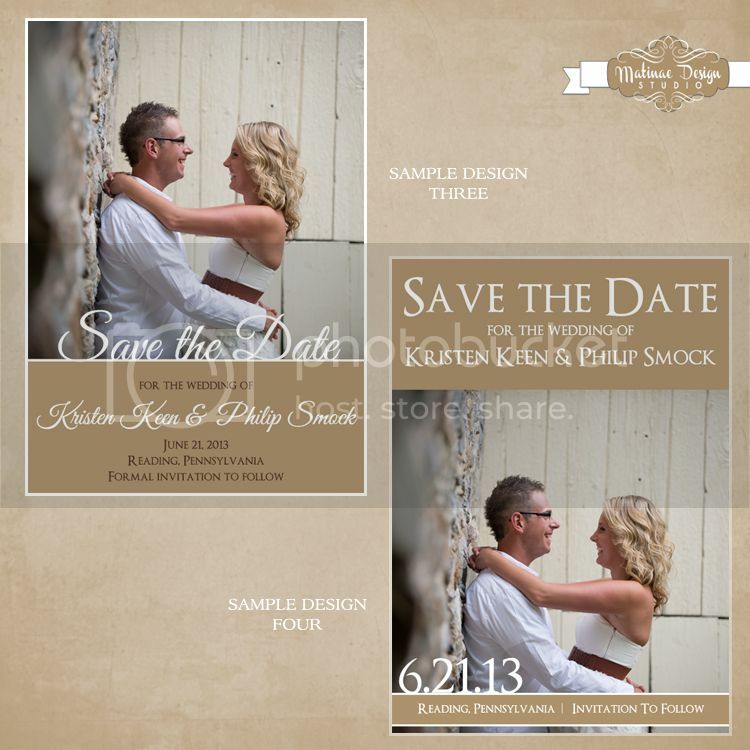 I am honored to be designing for Kristen and Philip's June wedding in Reading, PA! They are an adorable couple who have been so much fun to work with! For their saves the dates, we designed a series of samples using their engagement pictures. The final product ended up being a quarter page design layered on gold metallic cardstock and enclosed in a white metallic envelope with coordinating addressing as shown directly below. Stay tuned for their wedding invitations! !